Tablet: 1-2 Capsules twice daily. 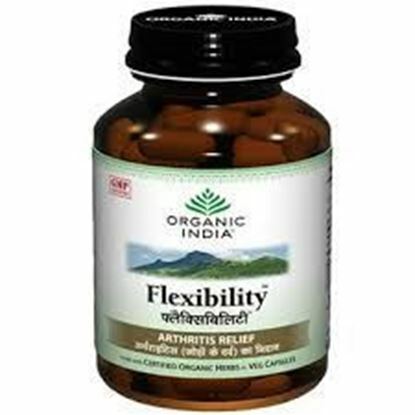 Organic India Constipation Relief Pack consists of Organic India Bowelcare and Organic India Triphala capsules. Organic India Bowelcare contains natural soothing herbs that relax and protect irritated intestines and normalize digestive and eliminatory functions. It relieves Irritable Bowel Syndrome (IBS), chronic and occasional constipation and corrects irregular evacuation. Organic India Triphala is a time-tested formulation used to relieve constipation and to cleanse the colon. 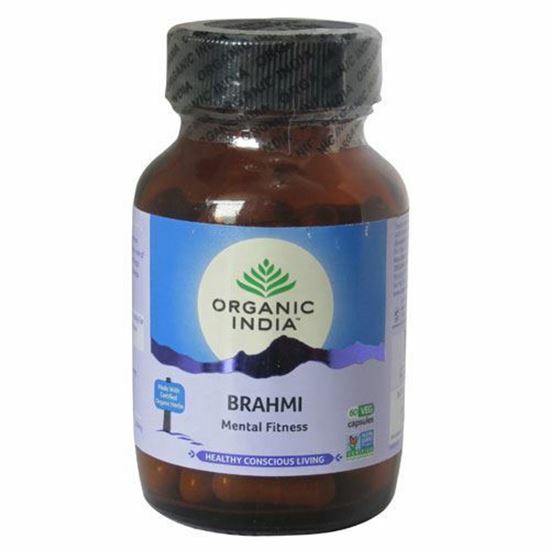 Organic India Triphala reduces fat deposits in the intestines and eliminates intestinal toxins and gas. Non-habit forming. 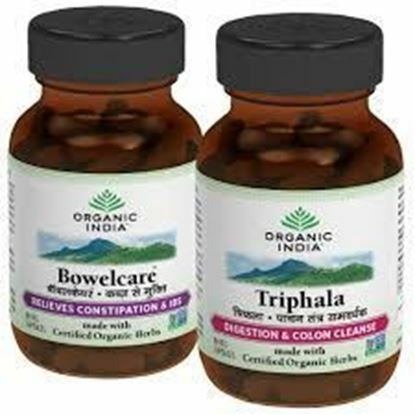 Organic India Triphala cleanses and lubricates the bowel and improves peristalsis. It is anti-acid and improves ulcers of the colon. Non-habit forming and also safe for long-term use. Properties FormCapsule Ideal ForMale, Female Weight126 (gms) Dimensions4.8 (cm) x 4.8 (cm) x 9.2 (cm) About Flexibility Capsules Flexibility lubricates, protects and repairs joints and tissues, reduces inflammation, improves joint mobility and soothes muscle spasm. Relieves pain and reduces need for pain killers. Flexibility gives lasting relief from stiffness and inhibits degeneration of joints. Properties FormCapsule Ideal ForMale, Female Weight126 (gms) Dimensions4.8 (cm) x 4.8 (cm) x 9.2 (cm) About Lipid Care Capsules Lipidcare lowers LDL and enhances HDL. Lipidcare reduces the heart's workload by lowering the Heart Rate (HR) & Blood Pressure (BP). 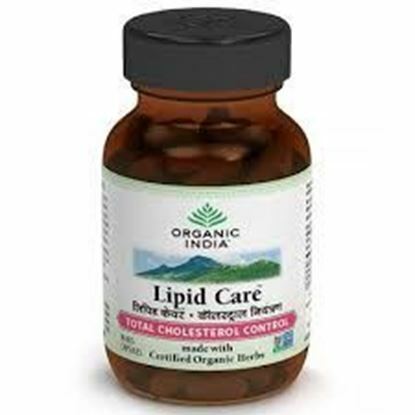 Lipidcare is a mild blood thinner & diuretic hence reduces workload on Heart. Lipidcare lowers the LDL. Enhances HDL. Lipidcare reduces the heart's workload by lowering the Heart Rate (HR) & Blood Pressure (BP). Lipidcare significantly reduces triglycerides. Lipidcare has active antioxidants that protect the heart tissue. 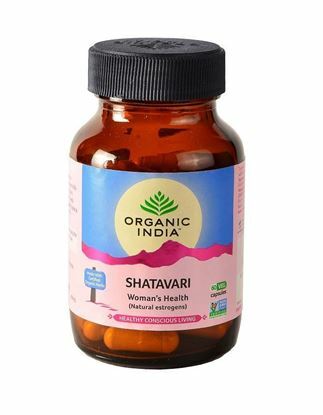 Organic India Satavari Capsules contains Organic Shatavari root (Asparagus racemosus) that is traditionally taken to support well-being through all phases of a women’s life cycle. Shatavari provides natural and organic plant based estrogens that support women’s health needs from adolescence throughout her life. Shatavari is also a natural diurectic that helps relieve fluid retention.